Despite Wandile’s gospel background, this album is loungy music that exudes style and exhibits chilled moods and classy cool. 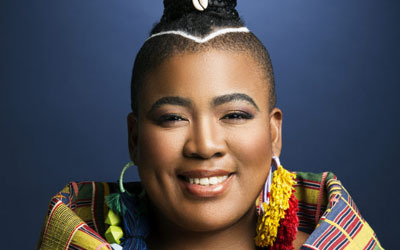 Over the past decade, Gloria Bosman has risen to become one of South Africa's most prominent and successful jazz vocalists. Afro-operatic pop sensations The Gugulethu Tenors have become a household name in South Africa since the release of their self-titled debut album in 2011. They have performed at some of SA’s top events and festivals. This project was founded by violinist Leanne Dolman who identified a need for recreational facilities in Hangberg Harbour Village. She has appeared in a lot of music videos also cast as a celebrity guest on a number of shows and her editorial credits or features include newspapers, television radio, actuality publications.